Learning how to mix is a lot like going through puberty. Half the time you don’t know what’s happening. It’s not comfortable, but it has to happen. you won’t get there overnight. tweaking, only to be disappointed. My advice to them is simple. learning phase. Just finish the mix and move on to the next one. You’re putting in the work today so that you can be great tomorrow. You endure puberty today so you can be an adult tomorrow. Don’t try to force the teenager to be an adult prematurely. Your mixes will get there. that is to simply learn from someone else. 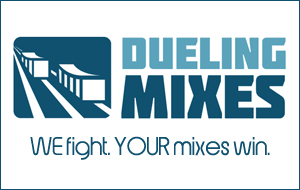 pumping out better mixes in less time.